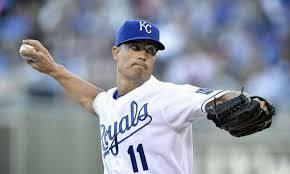 Righthanded pitcher Jeremy Guthrie led Kansas City to a win in Game 3 of the 2014 World Series. The series is now tied at 2-2. The Kansas City Royals moved to within two wins of baseball’s world championship Friday night largely on the efforts of Jeremy Guthrie. 1. Led American League in losses twice (2009, 2011). 2. Led AL in homers allowed (2009). 3. Led AL in hits allowed (2013). 4. Led AL in hit batsmen (2014). 5. Led AL in errors by a pitcher (2014). In all, not exactly a glowing resume, but then one of the beauties of the World Series has often been this cardinal rule: hot trumps better. It usually doesn’t apply in the NFL and almost never applies in the NBA (see a pair of lower seeds reach the NBA Finals lately? ), but the joy that is October has its own set of rules, where the wave of a magic wand can bring unforeseen gifts. 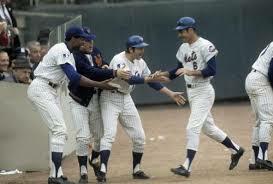 In this world, Al Weis trumps Davey Johnson. Brian Doyle beats Davey Lopes. And Billy Hatcher? If you’re not careful, in a given year he can trump just about anyone. The cynics can call it random and unjust. When teams with 88 and 89 wins, respectively, match up, images of John Mahoney screaming at John Cusack while incarcerated in ‘’Say Anything’’ – and lecturing about championing mediocrity – comes to mind. The horror! And if dynasties are your bag, the ugly possibilities are limitless. Would Tom Brady succumb to Ryan Fitzpatrick in a conference championship? Can you imagine the Bill Russell Celtics losing a playoff game to the Cincinnati Royals with Oscar Robertson’s sub playing the starring role? Not on your life, but then baseball has so often been the one pastime where you can proverbially have your cake and eat it too, where conservatism can find a middle ground with the dreamer. In this world, we can tout the Yankee dynasties, while still noting that Derek Jeter only won one world title in his final 14 seasons, a democratic statistical correction by the baseball gods that the other sports cannot match. October and occasionally a few days before and after grants a starring role for Mickey Mantle, Babe Ruth, Mariano Rivera, but also shines its light upon Moe Drabowsky, Al Gionfriddo and John Stuper. And that’s what we have loved about it for over a century. Hot trumps logic, invites imagination. How else do you explain Guthrie outpitching perennial stud and four-time All-Star Tim Hudson in San Francisco in the game history tells us was probably the most important in the series? It’s Gary Gentry outpitching Jim Palmer to a lesser degree all over again, just a few years after a still-developing Palmer outpitched Sandy Koufax at the peak of his powers. The game invites us to look a little bit closer, noting that while Guthrie’s won-loss record wasn’t all that scintillating (13-11) in 2014, the club was 19-13 in games he started, strong if not imposing. And since a July hiccup in which he went 1-3 with a 10.07 ERA over four starts, Guthrie has been 8-2 over 12 starts, following up a good Game 3 in the ALCS against Baltimore with another rock-solid outing against the Giants. Peaking at the right time? Good scouting? A manager understanding his pitcher’s limits? Theories will abound with a little bit of truth in many. But as any magician will tell you, the tricks of the trade are best not revealed, if they can be at all. Who knows why a Cookie Lavagetto or Don Larsen shine, albeit briefly? But every fall their spirits are resurrected at this time, providing the kind of hope that only can be found in love, the hottest player of all.